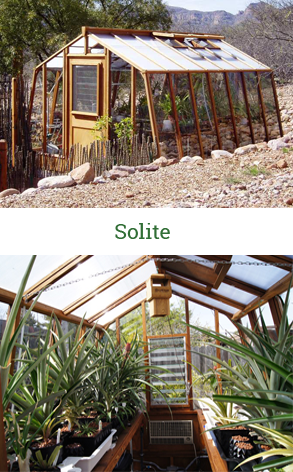 The Solite Greenhouse – engineered to double your indoor greenhouse growing space and maximize solar heating. 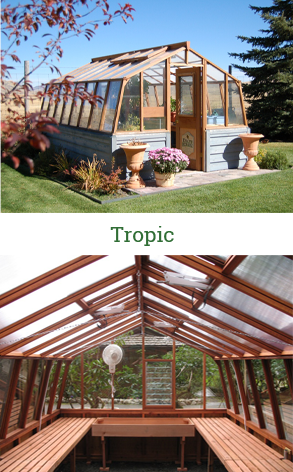 The Solite greenhouse is a practical indoor greenhouse with its combination of strength, beauty and growing space. 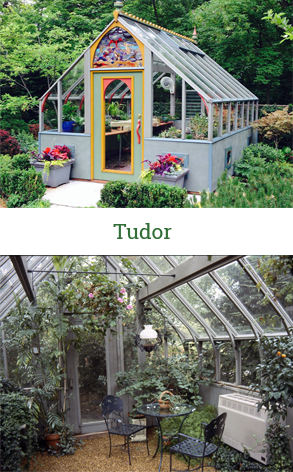 The glass-to-ground design provides extra growing space under the benches. 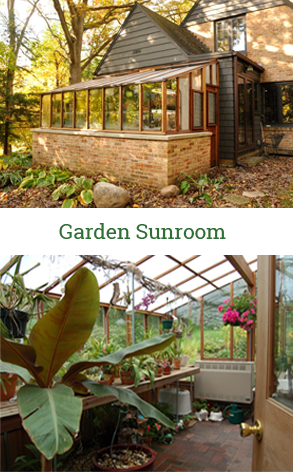 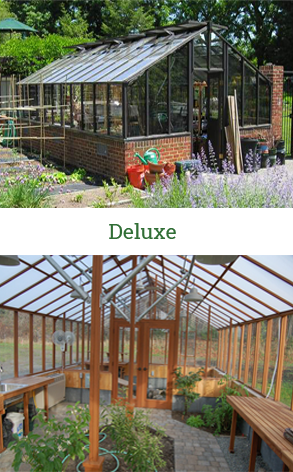 The slanted lapped greenhouse glass walls maximize winter solar heating. 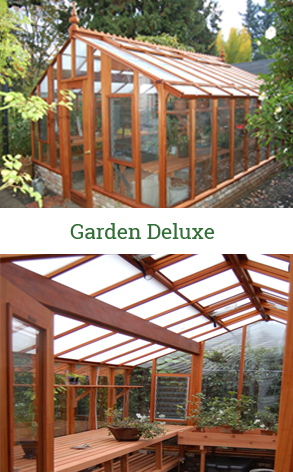 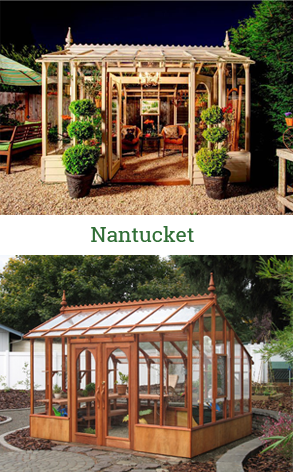 This greenhouse model is available in a variety of lengths and widths, free-standing or lean-to versions. 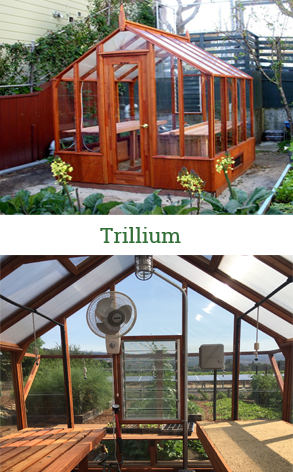 Below is an example of a custom Lean-to Solite on a slightly higher base wall, along with an interior shot.